I started the Search Engine Marketing Memphis blog because I thought I might pick up a few customers for my SEO business. I decided the best way to achieve this was to slowly move up in the search engine results page under the key word terms search engine optimization Memphis and search engine marketing Memphis. I chose these keywords, or keyword phrases, because keyword research revealed that these long tailed keywords are what people are putting in the Google search box to locate and find local SEO services here in Memphis and the surrounding area which is normal for anyone needing SEO. As a result of my research, I've discovered that Memphis businesses are woefully lacking when it comes to search engine marketing and aren't capitalizing on the power of the Internet and depending on traditional forms of capturing customers such as yellow pages or radio. Unfortunately, these forms of advertisement can be much more expensive than a properly optimized website designed to reach a targeted audience. Memphis isn't a large market for SEO, however there is enough people or companies actively looking for SEO services daily to justify me creating this blog and offering my services to them. While doing my keyword research on Memphis and the market potential for SEO services I discovered that on average there are twenty one searches placed in the search engines (Google, Yahoo and MSN) for the long tailed keyword phrase "search engine marketing Memphis" or around 630 in a thirty day period. Not bad! I'm in the process now of scouting out the competition and seeing what search engine marketing specialist Memphis have to offer the local community. One thing I've noticed is one of their services is to submit their potential clients websites directly to the search engines through the website submission service offered by all search engines. Why? Submitting a website to a search engine directly is a waste of time and will take weeks to get a website indexed. There are easier ways to get a new website indexed and can, in some cases, be accomplished in a matter of hours. We are not talking about submitting a new website and having it on the first page of Google within a matter of hours. Indexing a website is only the process of letting the search engines know your website is there and having it placed within their index and odds are if your site is in a competitive niche, you will end up in the Google sandbox anyway, but you will be indexed. The search engine sandbox is a form of website Purgatory where new websites go until the search engines decide whether the website is legitimate or a spam site. Any SEO firm worth their salt knows that submitting a new website through a search engine submission portal is a waste of time but I suppose it makes for a selling point to potential clients that aren't in the know about Search Engine Optimization. 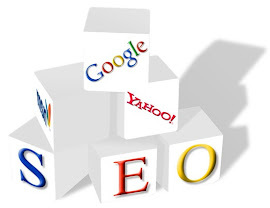 Search Engine Optimization no doubt can be a do it yourself process and many people opt to go this route. But if you have a brick and mortar business to run or have a full time job that doesn't allow you the time to devote to SEO for your website, outsourcing is an option. Businesses such as contractors, attorneys, real estate agents, fishing camps or resorts or any business that can benefit from a website, often don't have the time to spend doing their own SEO so they hire someone like me to do it for them. SEO is a akin to a living breathing organism since it is fluid and changes often. The search engines algorithms change often and competition is ever present trying to gain your position on the search engine results page. In very competitive niches or fields, on going SEO is a constant and has to be monitored from month to month to maintain position in the SERP's(search engine results page). With more and more businesses utilizing the Internet for advertisement and gaining market share, properly optimized websites are necessary if a business is to remain competitive. Gone are the days when people would grab their Yellow Pages to find what they need. With high speed Internet connections and wireless communication through cell phones allowing access to the Internet, people first access the Internet to find local business that can fill their need. People under 35 are more likely to do this then the over 35 crowd, but this is changing as well with older Americans now beginning to understand the usefulness and power of the Internet. Whatever your business may be, a properly optimized website can enhance your profit margin. People use the Internet for various reasons but the largest of these reasons is information. If someone has a need, what better way to gain information than the Internet? People no longer have to deal with pushy salesman or purchase items before having the proper knowledge to make an informed decision. Business websites allow us to make these decisions, find out about who we are dealing with and have an idea of what we will spend before deciding to purchase. This is the very reason search engines like Google and Yahoo exist, to bring the most relevant and up to date information to their users..you and I! This is why up to date SEO is so vital to your online presence. The search engines are going to do their very best to provide the best product available to their end users. This is also why they change their algorithm so often. Scammers and spammers no the value of being in the number one and number two slots on the search engines and this is why they go to great lengths to game the SERP's using black hat techniques. Eventually Google and other search engines find them out and all of their work comes tumbling down in to a heap of worthless blogs and websites. Of course they have made their money and move onto finding out the next best way to scam and game the system. Spammers, Scammers and Black Hats will be with us always, but properly optimized and legitimate websites will remain a constant and will almost always remain in the top positions because Google and other search engines do change their algorithm for this purpose. Relevant and fresh content with properly acquired back links from other legitimate websites and articles will always win. Legitimate websites that have aged and weathered the ups and downs of the market will remain on top. Occasionally the black hats will come in for a few days or even a couple of weeks or more and maintain the top position but their days are numbered always. Google and the other search engines make far too much money from Adwords, Adsense and various other forms of advertisements to let the black hats and scammers win. As you can see, search engine optimization is an ongoing process that requires maintenance and time. Whether you decide to do it yourself or outsource your SEO is decision left to you, but money spent on a website that is not bringing in targeted traffic is not worth the hosting fees and a waste of time. For people that just don't have the time to do proper search engine optimization, I am available and affordable to help with your search engine marketing Memphis.